At Stuart C Hill Jr., CPA, PLLC, we hold ourselves to a high standard of honesty, integrity, and service that our clients truly appreciate. We value our clients and work hard to deliver the combination of accounting solutions and tax services each one needs to manage their finances efficiently. Check out these reviews from some of our satisfied clients then give us a call at 817-332-3320 or request a free initial consultation through our website to learn more about what we can do for you. "When my husband and I first visited with Stuart, we had what seemed like an insurmountable situation with the IRS. Stuart helped us to understand what we were facing, and in just a few months, we were on the road to recovery. Stuart has been very professional and understanding, and has enabled us to find peace regarding dealing with the IRS. I think Stuart is just a good guy! The staff in Stuart’s office is very helpful and approachable. I highly recommend Stuart C. Hill, CPA." "I wanted to thank you and Stuart for helping me with my taxes last year and this year. When I found out that I owed money to the IRS it was a time of stress. 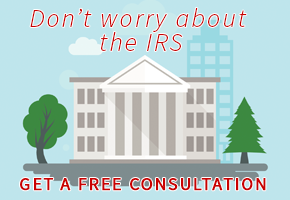 I would strongly recommend you to anyone who needs help resolving issues with the IRS or just need to file taxes. I have told all my friends and coworkers how awesome and fast you all do business. Thanks again and will definitely see you next year." "We took our 2013 tax return to Stuart C Hill Jr., CPA, PLLC and we are very pleased with the service we received. As we relocated from a different state, having to submit a state tax return we were at ease knowing it was being taken care of correctly. And when there was additional information needed to process our state return, we contacted the office with questions and they took care of everything for us in a very timely manner which was greatly appreciated. We would definitely recommend." "I started a small business and had NO idea about taxes, planning, and preparation. I just love what I do (hairstylist) and the other stuff, well, at least I keep all my receipts. I hadn't filed in over 3 years. I just was overwhelmed at everything it takes!!!! WHY IRS WHY??!!! I digress. I found Stuart online after many weeks of searching. Just reading about him gave me a sense of peace. So I made an appointment. Upon explaining my situation, he told me the steps we need to do in order to square everything up. Boy was I relieved!!! Why do we have a tendency, as humans, to make every situation WAY worse in our minds than they are? Stuart and his assistant Theresa were SO gracious and helpful in explaining everything and getting a plan together. The tips and suggestions they gave made so much sense. They are very courteous, professional, and honest. I am SO glad i found them. I will be a lifetime client! Plus, Stuart is a life coach of sorts; VERY encouraging and motivational!" "I was a last minute walk-in. You had my taxes filed fast and got money back too. Very relieved. Thanks!" "Humility is the characteristic most overlooked in great leaders and Stuart is humble, supportive and builds relationships of trust naturally. Stuart would be a valuable asset to you or your group in team building, personal leadership development and to help you or your group move forward in their goals, tackling challenges and inspiring contribution and talent." "Stuart taught our 10 week Master Mind Study and we covered the material in John C. Maxwell's book The 21 Irrefutable Laws of Leadership. Stuart led the class in a well organized manner and provided many insights regarding the laws of leadership. It was well worth the time spent." "Working with and learning from Stuart during certification training for the John Maxwell Team has brought great value to my life. His natural leadership skills were apparent, his sincere passion for this field of coaching, training and speaking made a statement of professional inclusion to our group. A person that is focused on being the best husband and father for his two boys, taking time and giving back to the community by severing as a leader for the Boy Scouts-we need more more men like Stuart stepping up. With his strong work ethic and thirst for growth, I highly recommend Stuart as a Coach or Trainer to come into your organization to deliver positive results." "Stuart is a great CPA. I had some complex challenges with the IRS. He consulted with me, put together a strategy, and I retained him to straighten everything out. In less than a few weeks everything was settled. Stuart will be my personal accountant from now on." "I had the pleasure of working with Stuart in integrating the custom billing solution with standard SAP modules at Bell helicopter. Stuart did an excellent job in his role as Project Manager. He has a great depth of functional knowledge in finance,controlling and billing areas.He is also someone you always can count on for support and decision making when things get tough. I would welcome the opportunity to work with Stuart again."